Flickr4Writer is a plug-in for Windows Live Writer, a blog authoring tool available free to anyone. 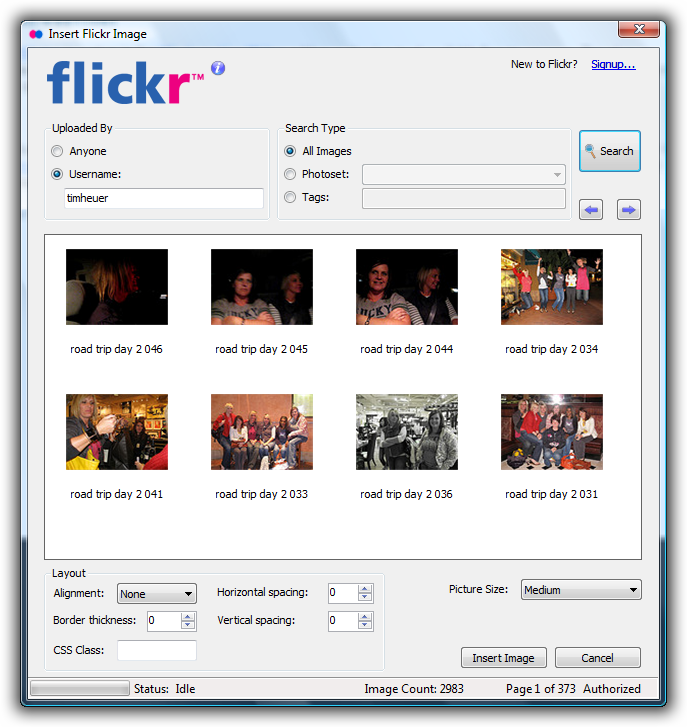 The plug-in enables a Flickr user (Flickr account is required) to browse their own photos as well as others and insert the content into a blog post using Writer. I hope that you enjoy the plug-in!